Drumcode continues in 2015 with the latest track from Harvey McKay. Harvey has been making waves in the techno world with releases on Drumcode, Cocoon, 8 Sided Dice, Soma and more and has gained support across the globe as possibly one of the hottest techno producers around, which has seen artists such as Adam Beyer get behind him and support his work. As a DJ, Harvey has played some of the biggest clubs around the world. 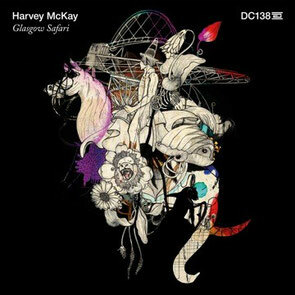 Now, he’s back with this close to home EP, ‘Glasgow Safari’. Harvey has blended his traditional synth stabs and vocal hooks together and has created another decent EP. The drums are fat and chunky and allow his ideas to flow effortlessly over a solid foundation. The dynamics throughout his tracks create impressive drops to add to its groove. Check it out below, it’s out now on Beatport, everywhere else on 23 February.